Bradshaw International of Rancho Cucamonga, Calif., about 85,300 coffee presses sold in the U.S. and Canada. This recall involves Bialetti coffee presses with a glass beaker in a plastic frame with a stainless steel metal plunger. The coffee presses were sold in blue, green, black and red and hold eight cups of water. The plunger is stainless steel metal and mesh with a polypropylene lid and handle in matching color to the frame. 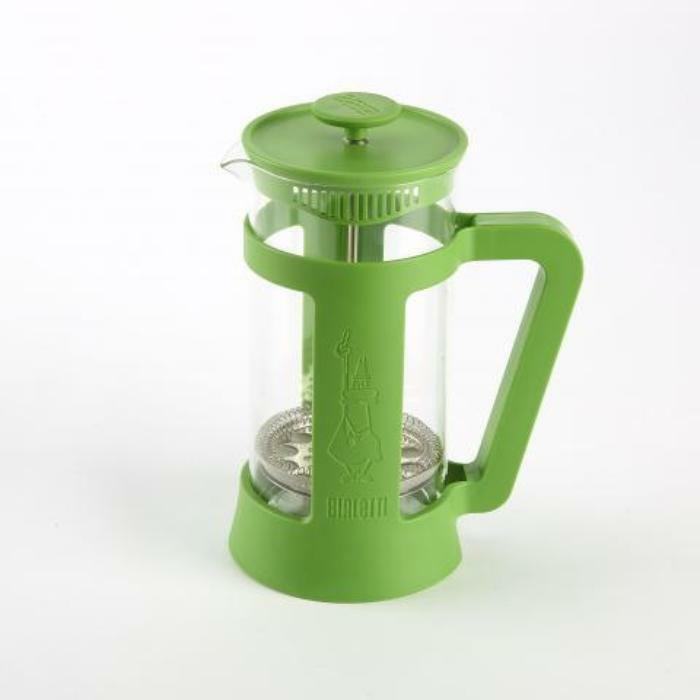 The coffee press exterior measures 6.5 inches by 9.5 inches and the interior of the glass beaker measures 7 inches by 3.75 inches. The polypropylene lid has 14 vents in the bottom of the rim to strain fluids, while pouring. The Bialetti icon and logo are printed on each side of the frame and “Bialetti” is printed on the top of the plunger. The date stamp of March 2017 or earlier is printed on the underside of the plunger in a dial date code. The coffee presses, manufactured in China, were sold at Fred Meyer, Kroger, Ross, Target, HomeGoods and other specialty and grocery stores nationwide and online at Amazon.com from July 2016, through March 2017, for between $15 and $20. Consumers may contact Bradshaw International toll-free at 877-614-9571 from 8 a.m. to 5 p.m. (PT) Monday through Friday or online at www.bradshawintl.com and click on “Recalls” for more information.